Sociology and Methodology of Social Research (7 scholarship positions). NASP offers a total of 34 Ph.D. positions covered by scholarships. Full information on how to submit applications is provided by the Call for Application. The application deadline is September 30th, 2014. NASP involves a network of universities in Northern Italy: Brescia, Università Cattolica, Genova, Milano, Milano-Bicocca, Pavia, Piemonte Orientale and Torino. 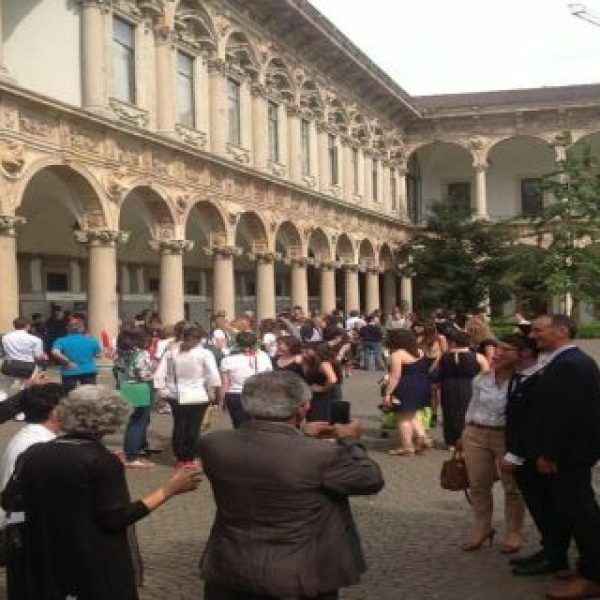 NASP is based at the Graduate School in Social and Political Sciences of the University of Milan (GSSPS). The mission of the programme is to give students both a strong disciplinary focus (in Sociology, Labour Law, Management and Organizational Behaviour, Psychology of work) and a substantive attention to socio-economic behaviour and processes, in particular from the point of view of labour and organizations. Six broad areas of specialization are offered. Each student will choose the one who best suits her research interests and use it as a starting point for her research project. Of course trespassing and contamination are allowed and encouraged. Occupations, education and social stratification. The aim of the doctoral Programme is to train highly-skilled professionals who can undertake research within academic institutions, think tanks and research centers, as well as provide consultancy for political, economic, public or private organizations at the national and international levels. The programme offers a two-levels training: first, the acquisition of a common background on the most up-to-date knowledge and methods in the field of political science and political philosophy. Second, a more personalized training subdivided in four main paths of specialization, and the possibility to experiment cross-curricular paths linking together traditionally unrelated disciplines. The aim of the programme is to provide structured training in theoretically-guided empirical research across a wide range of sociological fields and to introduce students to current international debates in both qualitative and quantitative social research. Graduates from the programme ill be able to compete successfully for positions as researchers (in public and private universities and research centres), skilled professionals and consultants in sociology to public agencies and international organizations and institutions in Italy and elsewhere in Europe. All courses are taught in English for all of the Ph.D. Programmes, while the dissertation might be written in English as well as in Italian, depending on the topic and on the supervisor’s judgement. For more information regarding the call for application please visit the official webpage HERE.